This is a table of the various numbers that are used in the Book of Revelation, listed in the order in which they appear in the book. 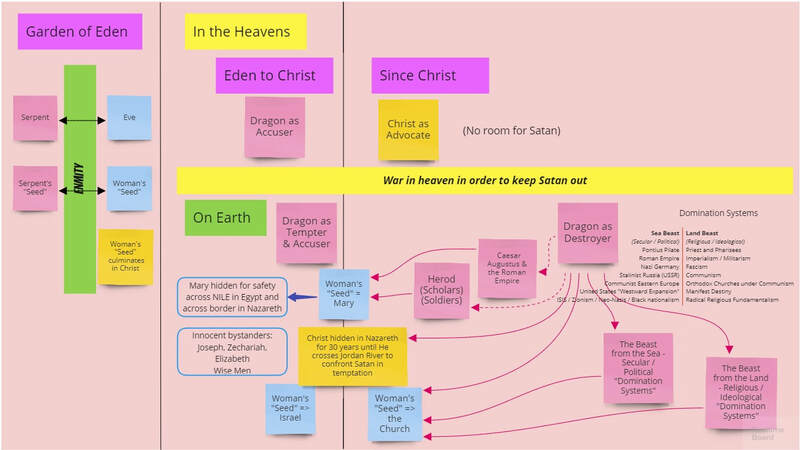 This Prezi goes with the video "Conversations about Revelation - Chapter 6." It's the same one on the screen in the background of the video. Below is the chart on the wall in the videos for Chapters 12 & 13. These chapters have no accompanying sermons. Notes: The "Conversation" below is about Revelation 20:1-3. Due to technical difficulties the "Conversation" about the entire chapter Revelation 20 did not get recorded. The document to the right above is about the "Conversation" on the entire chapter Revelation 20. The slide presentation immediately to the right goes with the "Conversation" below.